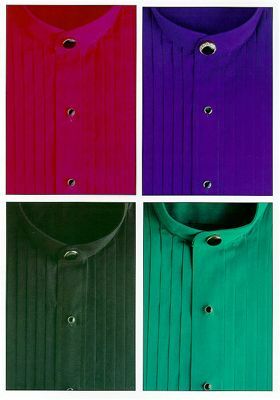 Available in fuschia, purple, black, teal, white, ivory. Available in purple, black, teal, and fuschia. 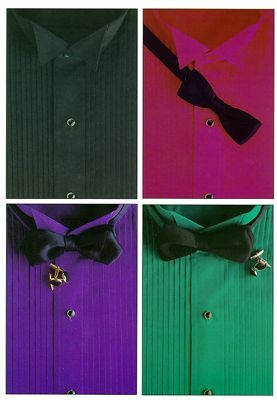 See more tuxedo shirts here.